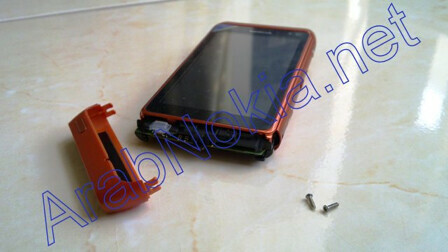 The Nokia N8 with a 32GB version, battery hard to remove? One of the major events that shook the cell phone world last week was the official announcement of the Nokia N8. We cannot call the operating system of the handset, Symbian^3, impressive really, but the hardware behind it looks inspiring and includes 3.5-inch capacitive screen and 12-megapixel camera with Carl Zeiss optics and xenon flash. We have to say the pictures and video clips captured with the Nokia N8 are amazing indeed. Until recently, the word only mentioned a 16GB version of the device, but we saw pictures (they got removed a bit later) and a tweet (by Eldar Murtazin) that seem to confirm the existence of an iteration equipped with 32GB built-in memory. Moreover, people will be able to use microSD HC expansion cards of up to 32GB and connect external devices like hard disks via special microUSB-to-USB adapter. The user guide of the Nokia N8 further elaborates that plugging in an accessory like this will automatically start the File Manager application. The other aspect of the N8 that have caused quite a few tongues to wag relates to the battery. Will it be removable? There is still no definite answer to the question. It seems owners of the handset will be able to take it out indeed, but they will first have to unscrew two pins that secure the battery in place. This has been the case with many prototypes in the last years, although we just don't know whether the manufacturer intends to release the retail units with the same battery-lock mechanism. By the way, do you remember the rumours about the Nokia N98 that surfaced just before MWC 2010 took off? They had it Nokia would showcase said device at the exhibition, but the cell phone never got revealed at the event. The picture that got leaked along with said rumors disclosed a device with design that reminded of the N8, but was equipped with hardware keyboard instead. Now the guys over at Engadget believe the QWERTY version will hit the shelves later this year, but will probably roll out under a different name - the Nokia N9. Only time will tell whether this is true or not. All these rumours about the Nokia N8 just add fuel to the flame and we cannot wait to get our hands on the handset. We guess this will probably happen in Q3 2010, when the Nokia N8 is to hit the shelves. 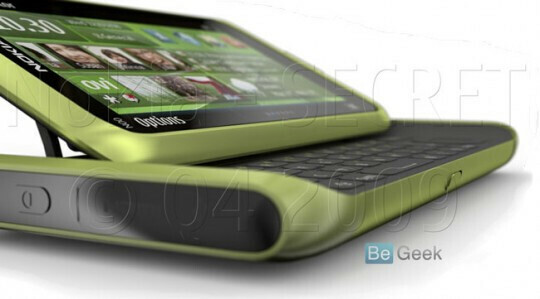 I actually really like the design of the n9(?)... It reminds me of a sidekick which was my first smart phone. I really wish this phone came from someone else like HTC, LG, Motorola or even Samsung. Idk why but Nokia phones dont sit right with me. I just hate the look of its UI. Especially that bold ugly font they use on all nokia phones. I might like it better had it been running on a different operating system like android, webOS, or even (dare i say it) Windows Mobile :/ Ehh. I guess i'll have to wait and see about this phone. Nokia makes the best handsets. I can't wait to get my hands on the N8!